The Danish Commonwealth has established a working group with Canada aimed at resolving a longstanding maritime border issue. 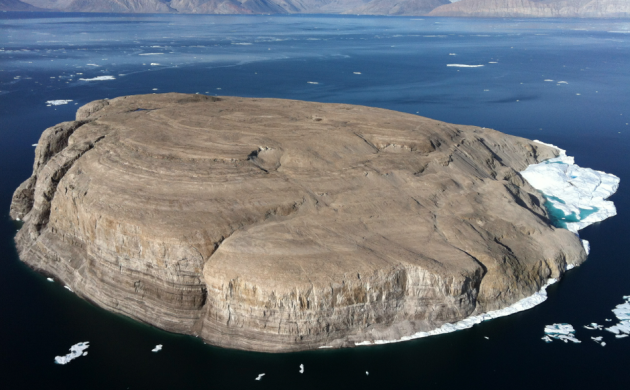 The work group has been charged with coming up with recommendations to solve the border issues regarding Hans Island, the maritime border in the Lincoln Sea and the overlap in the Labrador Sea’s continental shelf outside the 200 nautical mile limit. “I have no hesitation in calling this a breakthrough in our mutual efforts to clear up the question of sovereignty of Hans Island. It’s the result of the strong co-operation that already exists between our nations,” said the foreign minister, Anders Samuelsen. The Greenlandic government has also praised the move and hopes it will proceed in a peaceful and constructive manner. READ MORE: Hans off our island! Elsewhere, Denmark and Sweden have signed a new agreement that will strengthen a number of areas within the realm of defence and security. The Swedish defence minister Peter Hultqvist visited Copenhagen this week to seal the deal. Among other things, the new deal will grant Danish fighter jets access to airspace in parts of southern Sweden when being scrambled to meet aerial challenges to Danish airspace. In the maritime arena, Denmark and Sweden will work closer together to better combat submarine warfare. “Despite our security policies being different – Sweden being an ally-free nation and Denmark being a member of NATO – we face similar challenges, with Russia’s behaviour being a mutual concern,” said Claus Hjort Frederiksen, the defence minister.